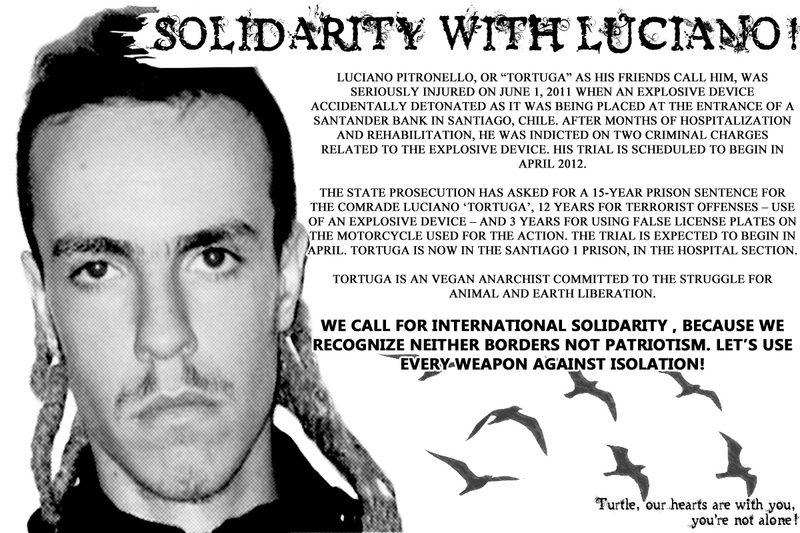 Luciano Pitronello, or “Tortuga” as his friends call him, was seriously injured on June 1, 2011 when an explosive device accidentally detonated as it was being placed at the entrance of a Santander bank in Santiago, Chile. After months of hospitalization and rehabilitation, he was indicted on two criminal charges related to the explosive device. His trial is scheduled to begin in April 2012. The state prosecution has asked for a 15-year prison sentence for the comrade Luciano ‘Tortuga’, 12 years for terrorist offenses – use of an explosive device – and 3 years for using false license plates on the motorcycle used for the action. The trial is expected to begin in April. Tortuga is now in the Santiago 1 prison, in the hospital section. 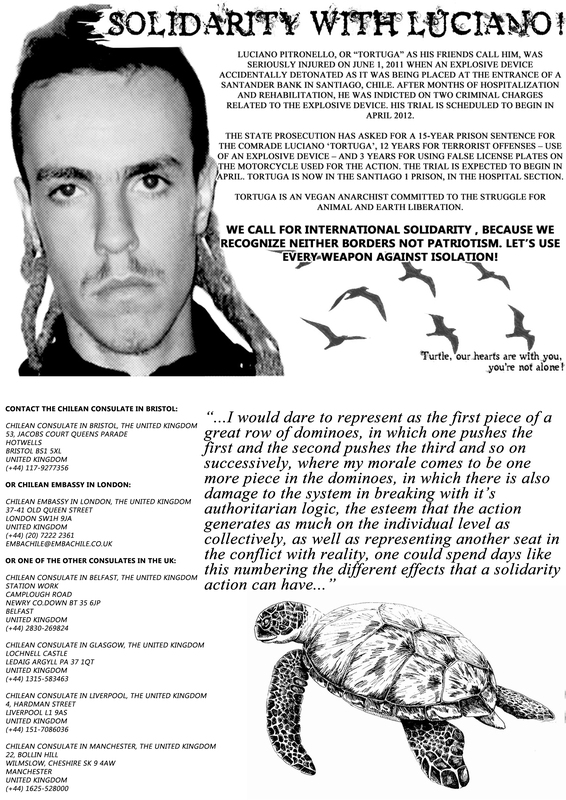 Tortuga is an vegan anarchist committed to the struggle for animal and earth liberation. We call for international solidarity , because we recognize neither borders not patriotism. let’s use every weapon against isolation! This entry was posted in Uncategorized and tagged luciano tortuga, protest, solidarity. Bookmark the permalink.